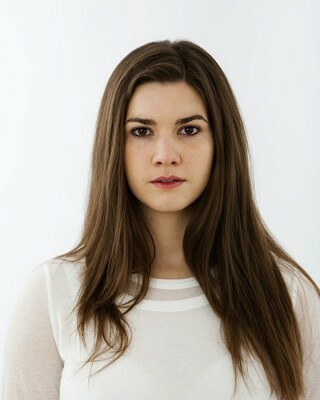 Liana plays series regular Laura Halpin in Ireland’s favourite television soap/drama FAIR CITY on RTÉ. Liana landed her first professional role in THE LEAGUE OF GENTLEMEN’S APOCALYPSE, based on the BBC series of the same name. She quickly moved onto other roles in film and television such as PURE MULE written by Eugene O’Brien for RTÉ, GET REAL by Carmel Winters for Zanzibar, ZONAD with Element Pictures and she played alongside Ardal O’Hanlon and Eoin Roe in VAL FALVY TD for RTÉ. She played Clodagh Grady in WHAT RICHARD DID directed by Lenny Abrahamson – winner of 5 IFTA awards in 2013. Theatre work includes MARKET RESEARCH THIS for Project Brand New, MISSION at Theatre Upstairs and SQUAT by Louise Melinn for Solstice at Cork Midsummer Festival.